So much of early St Andrews survives but you have to explore the wynds and closes to find a lot of it. Loudens Close is one of the the best examples of an entrance shared by several houses; each had a long "rig" at the back for growing vegetables and grazing a cow. Black & white conversion on an HDR. 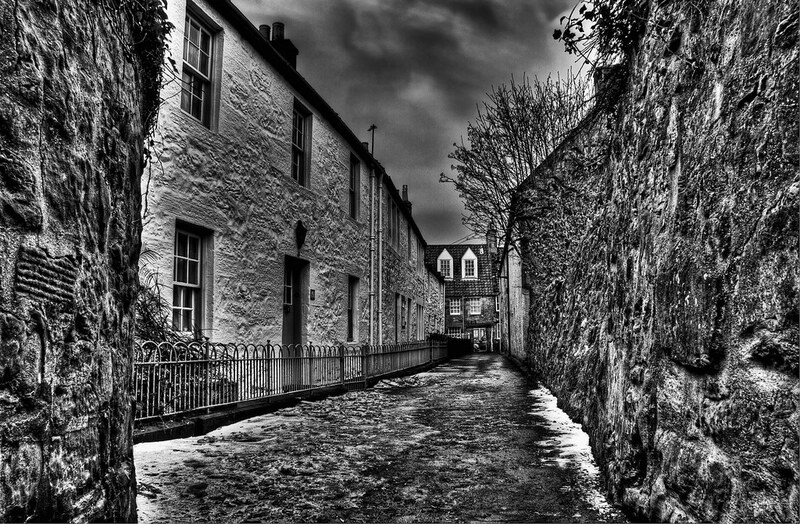 This entry was posted in Scotland, St Andrews and tagged hdr, Medieval, Scotland, scottish, St Andrews, street, town. Bookmark the permalink.